Driver Fusion is the complete device and driver solution for your PC that can manage and monitor your devices and their drivers. 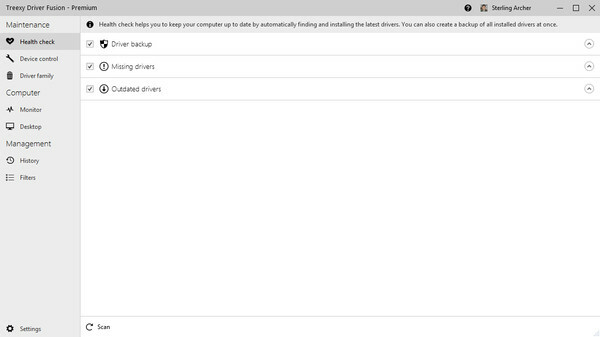 You can install and uninstall drivers with Driver Fusion, including the ability to backup, restore and download drivers with ease. 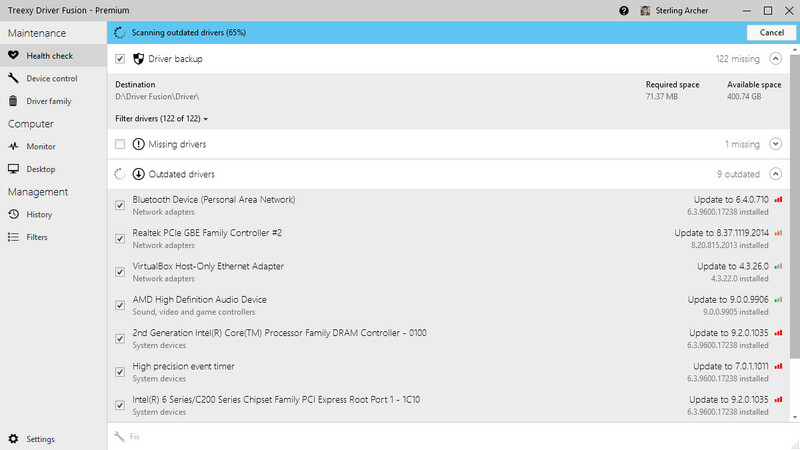 The effortless health check, including an automatic driver updater to update outdated drivers and install missing drivers, lets you scan and fix detected issues quickly. 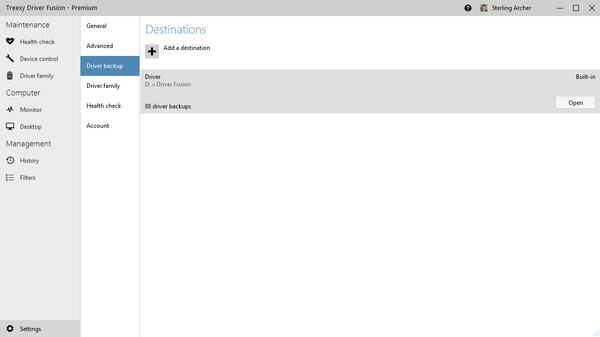 Furthermore, you can disable, enable and restart devices while Windows is running. 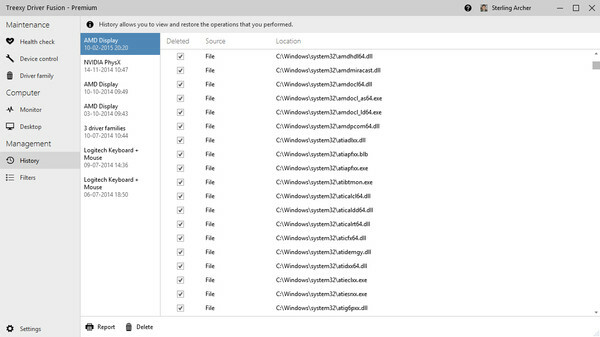 With our cloud-powered removal engine you can delete the driver entries that are left behind by the normal uninstallers, which is especially useful when you are updating a driver or changing a device.In addition, Driver Fusion can help you to identify devices that Windows does not recognize, generate a device and driver report, backup and restore your desktop icons and screen resolution, or read the sensor values of your devices. Driver Fusion provides you with all the information that you need to know about your devices and their drivers, allowing you to detect and solve problems or simply find your computer specifications in one place.Get started today and take advantage of the wide and growing range of features that Driver Fusion has to offer and keep your PC running as efficiently and effectively as possible.To try Driver Fusion, download the demo for free. You can unlock the premium features by purchasing. Demo FeaturesHealth CheckHealth check helps you to keep your computer up to date by automatically finding the latest drivers. 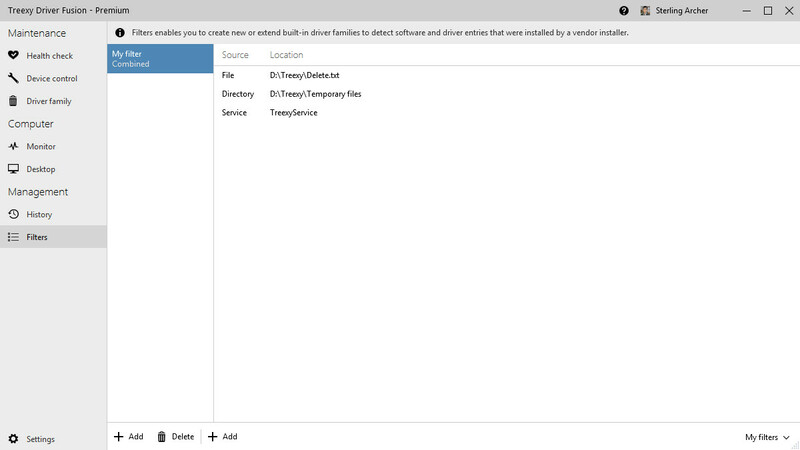 Driver Family Driver family enables you to delete the software and driver entries, such as files and registry keys, that were installed by a vendor installer. DesktopDesktop helps you to backup and restore the desktop icon positions and resolution of each screen. FiltersFilters enables you to create new or extend built-in driver families to detect software and driver entries that were installed by a vendor installer. HistoryHistory allows you to view and restore the operations that you performed. Process AssistAutomatically stops blocking processes and services to assist driver family. LocalizationAn interface that is available in 73 different languages such as English, Dutch, German, Japanese, Spanish and Russian. Vendor SupportWide vendor support, including AMD / ATi, ASUS, Intel, NVIDIA, Logitech, HP, Microsoft, Marvell, Realtek, Creative and more. Premium Features All of the demo features, plus:Device Control With device control you can view and manage the devices and drivers installed on your computer and check if they are working properly. 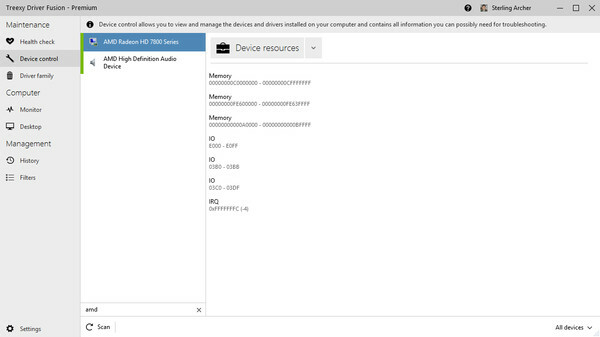 You can view all device and driver information that you can possibly need for troubleshooting, including in use or reserved device resources and in use driver files. You can also use device control to install or uninstall drivers, disable or restart devices, and scan for hardware changes. Health CheckEveryone wants their computer to be reliable and run smoothly. 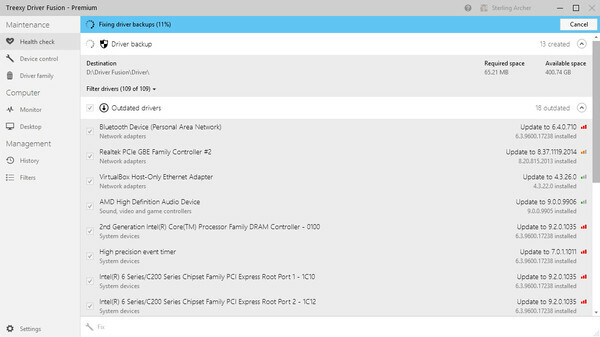 Health check analyses your computer's health and helps you to easily fix detected issues such as outdated or missing drivers. 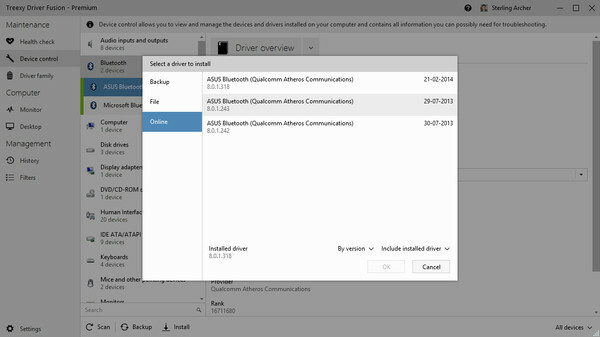 It helps you to keep your computer up to date by automatically finding and installing the latest drivers through the automatic driver updater. Our online driver database is constantly updated, ensuring that you have access to the latest driver versions. New drivers often improve stability and performance by fixing existing problems or by introducing new features. With health check you can also create a backup of all installed drivers at once. 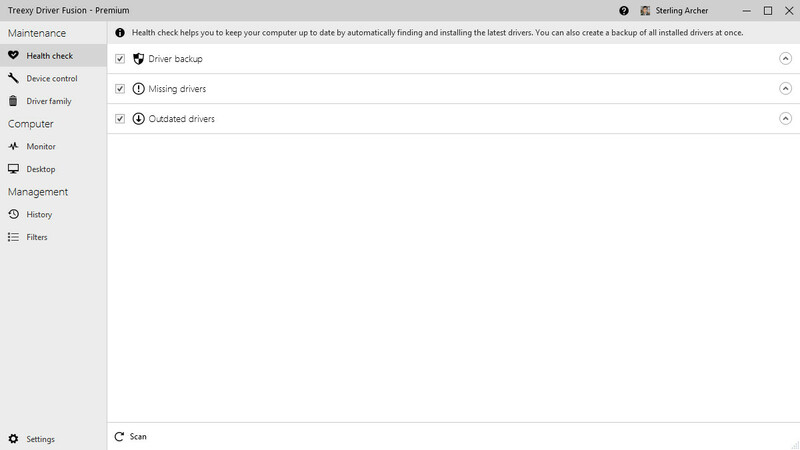 A driver backup can be used to easily revert to a previous version or to install all drivers automatically if you reinstall Windows. 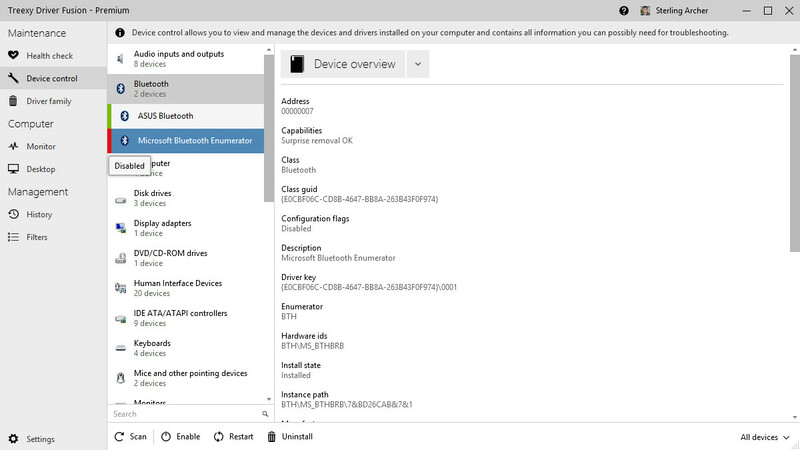 Device Identifier If you discover an unknown device with a yellow question mark in your system, it usually means that Windows does not recognize the device or that a wrong driver is installed. But what if you do not know the manufacturer of the device or are unable to locate the required information? 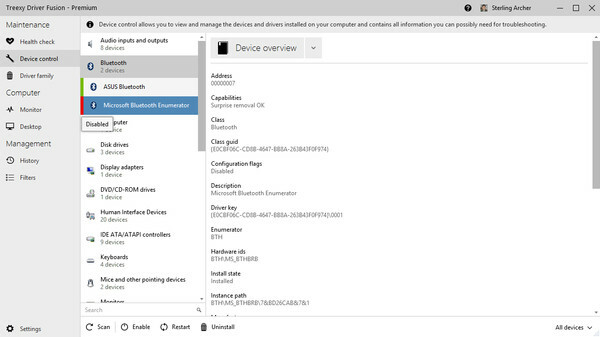 With device identifier you can identify the type, name, and manufacturer of any device by searching through our ever expanding device database. 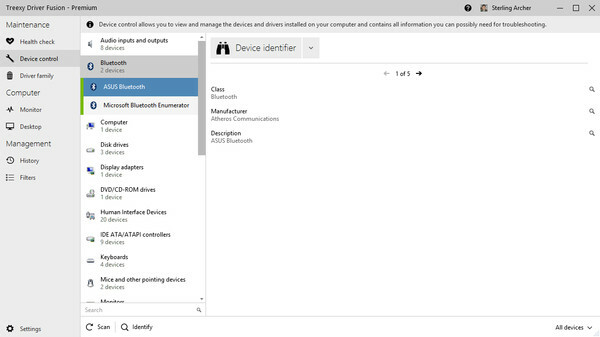 After the device is identified, you can immediately search online for the discovered information. 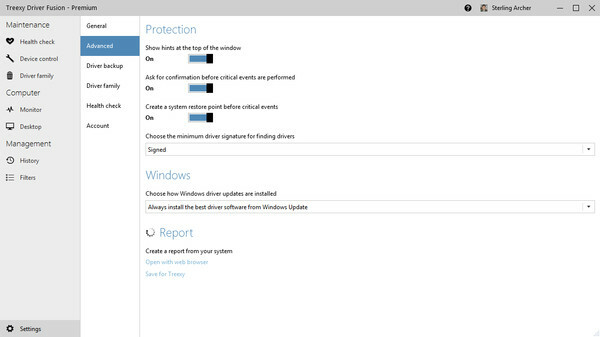 Driver Backup & Online If you install or update Windows it is likely that you invest a considerable amount of time and energy in finding the correct drivers. You can either use driver backup to create a backup of existing drivers first, or you can rely on driver online to download and install drivers for your devices with ease through our ever expanding online driver database. This feature is also helpful if you encounter problems with your computer or devices, or if you want to revert or update a driver to another version. System ProtectionSystem protection is a feature that creates and saves information about your computer's system files and settings. This information is saved in restore points. The restore points are automatically created before key changes are made to the system, such as the removal of a driver. You can use these restore points in System Restore, which helps you to restore your computer's system files and settings to an earlier point in time. 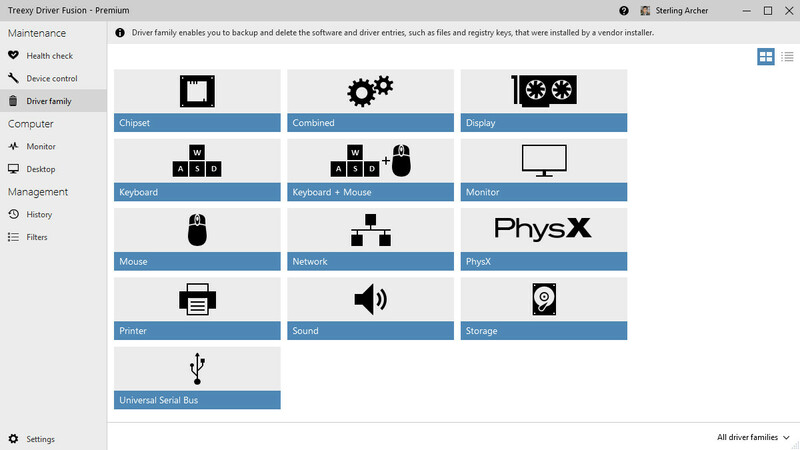 With system protection you can always decide to go back to a previous system configuration and it can even save your desktop icons and resolution for you. Enhanced Removal Mode If you ever tried to delete driver family entries you might have noticed that there are usually several entries left behind. 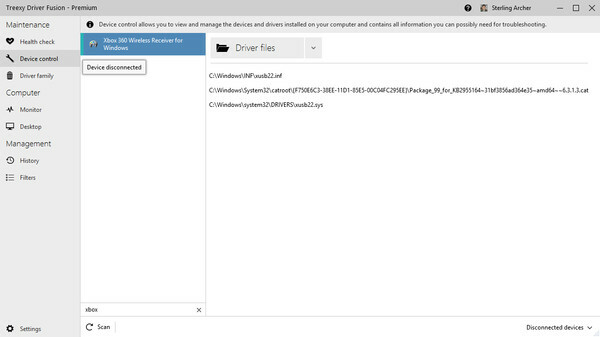 The free version of Driver Fusion is not able to delete files, directories and registry entries that are currently protected, locked or in use by the operating system, other users, or programs. You can rely on Driver Fusion Premium to automatically take several additional measures through safe Windows procedures to delete these entries, ensuring that the driver families leave absolutely no trace behind. Monitor Monitor gives you insight into the sensors from the devices installed on your computer, such as the power usage, temperature and clock speed. 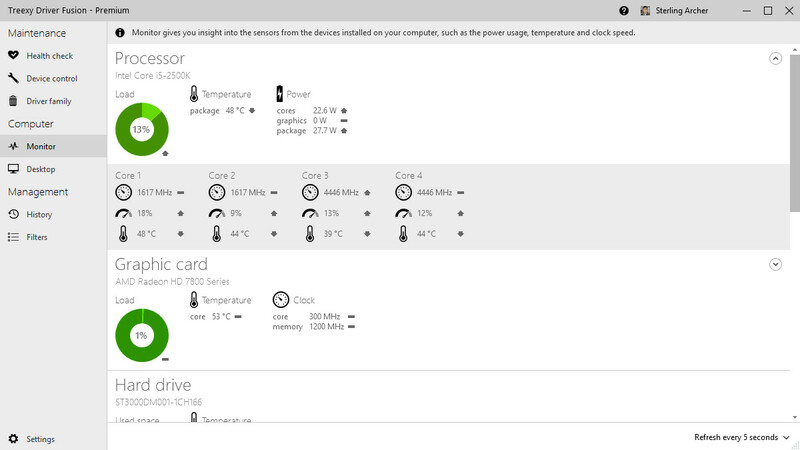 You can monitor sensor information from your processor, graphic card, motherboard, hard drive and fans. 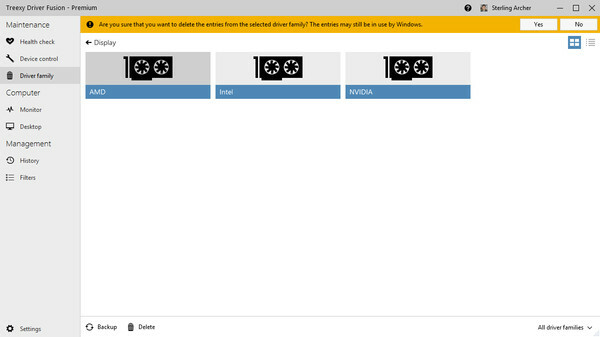 The majority of devices from Intel, AMD and NVIDIA are supported but not all devices have sensors or can be monitored. Device support will continue to grow over time. 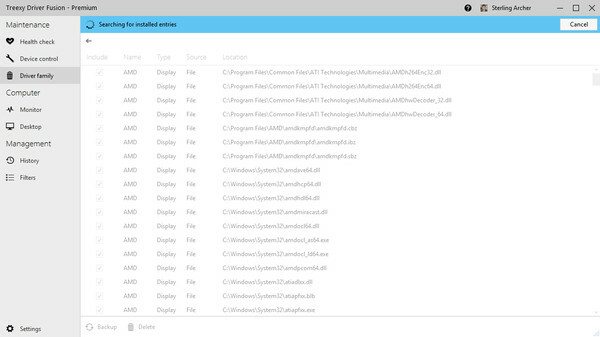 Reporting The reporting feature allows you to generate reports from your system or from maintenance actions. Reports are provided in an easy to read, formatted design that you can view and print using any web browser. The reporting feature is also ideal for doing analysis and can be easily used in papers or other documents. A system report is perfect for creating a reminder of the original configuration or for sharing your system specifications with others. Top Priority Support We provide support in two languages (English and Dutch) for our users around the world. With Driver Fusion Premium all your support issues will be given top priority as well as any feature requests that you might have. And best of all, Treexy does not charge you extra for support. 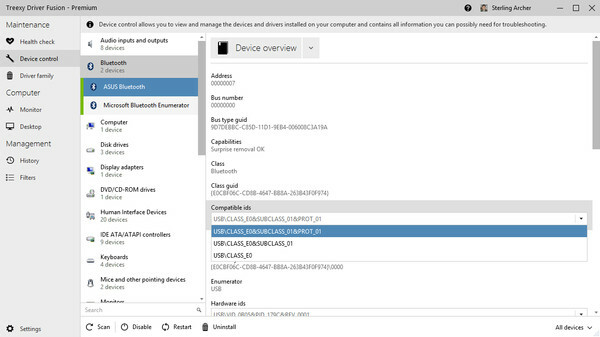 Cloud Driver Database The cloud-powered database provides a flexible and powerful feature that significantly improves the analysis and detection of driver family entries for the cleaning process. It gives you direct access to possible new driver family entries instantly, without having to wait for the next product update. 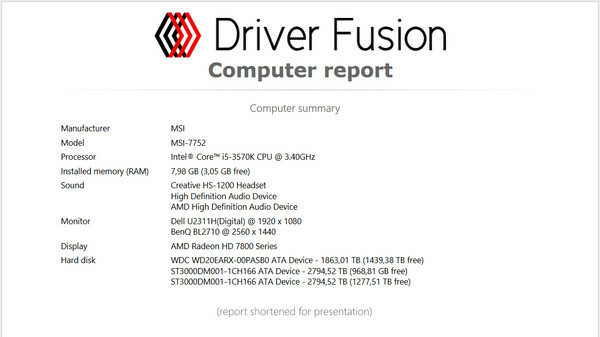 And perhaps best of all, Driver Fusion does it all automatically for you. Upcoming Features All upcoming features will be delivered completely free of charge to all customers!